Formed in 2015, Hawaii Farmers Union Foundation (HFUF) is a 501(c)3 non-profit organization managed by a five member Board of Directors. Each of Hawaii’s four counties is represented on the Board of Directors and the HFUF President represents the HFUF in its entirety. Recognized by the State of Hawaii Department of Commerce and Consumer Affairs under the Hawaii Nonprofit Corporation Act, HFUF is organized and operates exclusively for charitable purposes. HFUF has been awarded grants from Hawaii Department of Agriculture (HDOA), the Atherton Foundation, Maui County, and Kamehameha Schools. Since HFUF is a 501(c)3 non-profit organization, your donations are tax deductible as allowed by law. Learn about the Projects we're supporting, make a Donation, or Contact Us with your questions or for more information. Simon Russell is the manager of Hui ‘O Mālama ‘Āina LLC, an agricultural consulting company, and Farm Maui LLC, a farm operations management company. Simon is President of the Haleakalā Chapter of HFUU (Hawaii Farmers Union United) and serves as HFUU Legislative Committee Chairman. 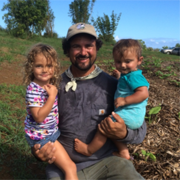 Simon was raised as a farmer on the north shore of Kauai, currently farms 3 acres on Maui’s north shore, and lives with his wife, Kiki (an organic farm and processing inspector), and their three children. Anny Bruch is an international development professional with 25 years of experience with agricultural and community development projects in the Americas. Her expertise in evaluation, NGO management and training has served many organizations. Anny has a farm on the Hawaiian Island of Kauai, serves as Secretary for HFUU (Hawaii Farmers Union United), and is certified in KNF (Korean Natural Farming). 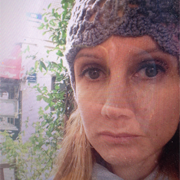 Eliza Wilcox has worked in the Hawaii State Legislature for the past two years. She currently works for Hawaii State Senator Laura Thielen who represents the 25th District (Kailua, Waimanalo, Hawaii Kai). Eliza was born and raised in Hawaii, earned a bachelor’s degree in accounting at the University of San Diego, and is a graduate of the William S. Richardson School of Law at the University of Hawaii. Although she’s not (yet) a farmer, Eliza is committed to strengthening Hawaii’s sovereign farmers using environmentally sustainable methods and is honored to serve on HFUF's Board of Directors. Dale Bonar has been a partner in Solid Ground Consulting since 2012, an advocate for the Affordable Farming Hawaii Project since 2013, and a member of the Maui Conservation Alliance since 2007. 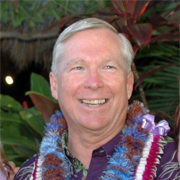 Dale is well known for his tenure as Executive Director of Hawaii Islands Land Trust from 2002-2012. Previous to that, he was Northwest Program Director for the Land Trust Alliance, preserving and protecting significant conservation lands in Hawaii. From 1974-1992, Dale was a Professor in the Department of Zoology and Research Professor in the Center of Marine Biotechnology at the University of Maryland. His research focused on cellular and molecular biology of invertebrate development. Gail Byrne Baber has a passion for protecting open spaces, including agricultural lands, and has coordinated numerous natural resource management projects on a landscape and watershed scale. Gail has considerable experience with non-profit organizations. She founded two non-profits and has served as executive director or board member for several others. She also has two degrees in civil engineering. 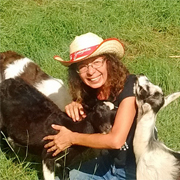 Gail is married to Cab Baber, who has been farming organically in Hawaii for 35+ years and is intimately familiar with the challenges and blessings of growing and building a farm. 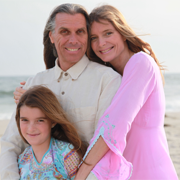 Gail, Cab, and their daughter live in Kohala on the island of Hawaii (aka Big Island). The life of the land is preserved in the righteousness of the people. • Learn about the Projects we're supporting, make a Donation, or Contact Us with your questions or for more information. © 2016-2019. HFUF.org - Hawaii Farmers Union Foundation. All rights reserved.